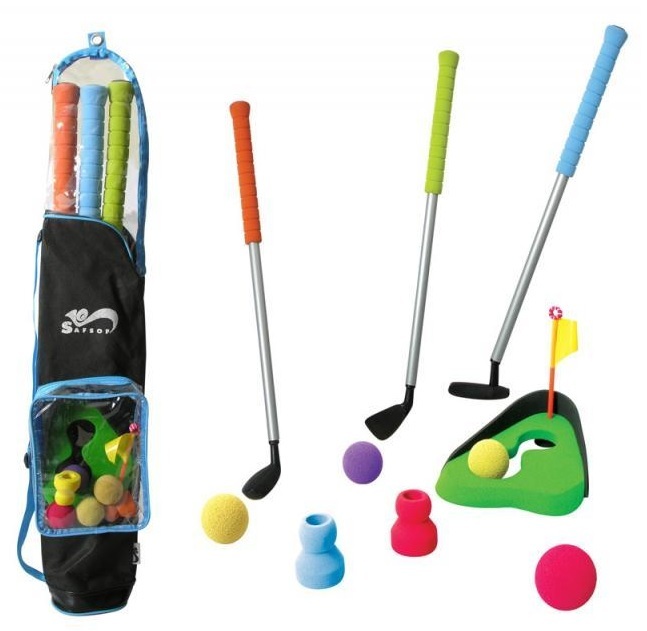 Golf Set includes 3 golf clubs + 4 balls + 2 tees + 1 golf hole. 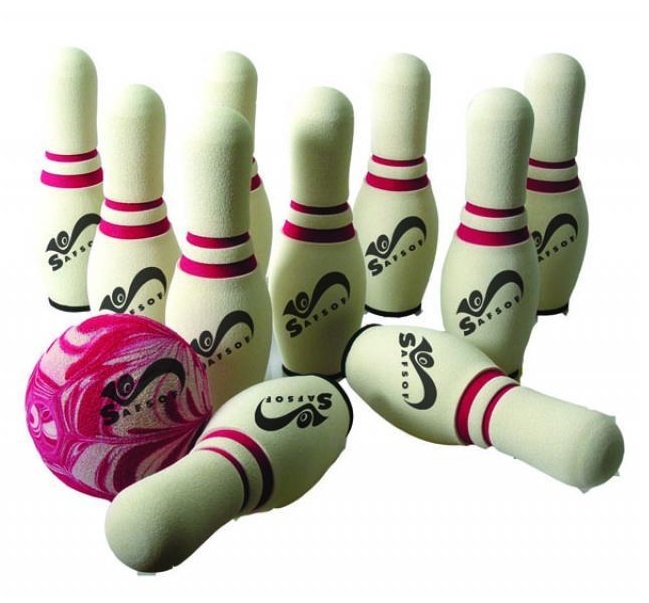 Bowling Set includes 10 pins + 1 ball. Toss the rings at the Butterfly Jisaw Poles. 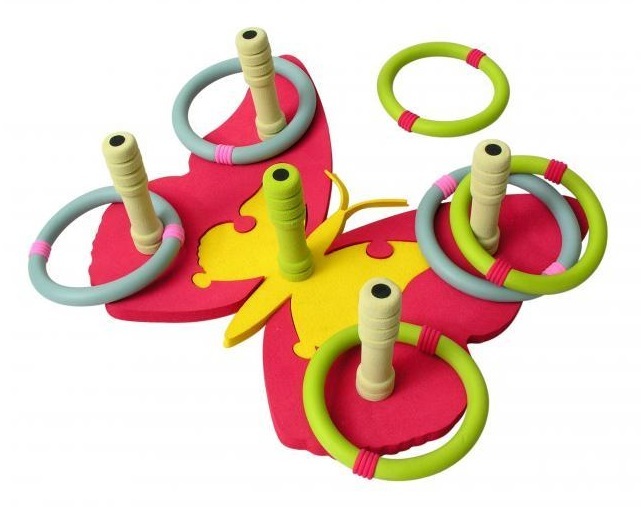 The Butterfly can be split into 3 pieces in different position as an alternate play. Set includes 1 bat + 1 ball. 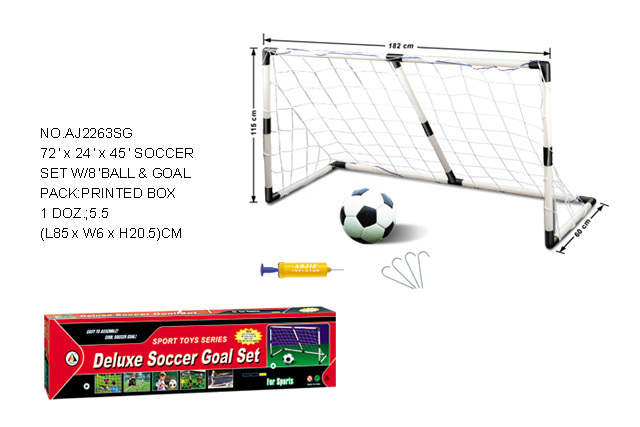 Comes with 40-cm magnetic dart board and 6 magnetic darts. Supports up to 1M distance. 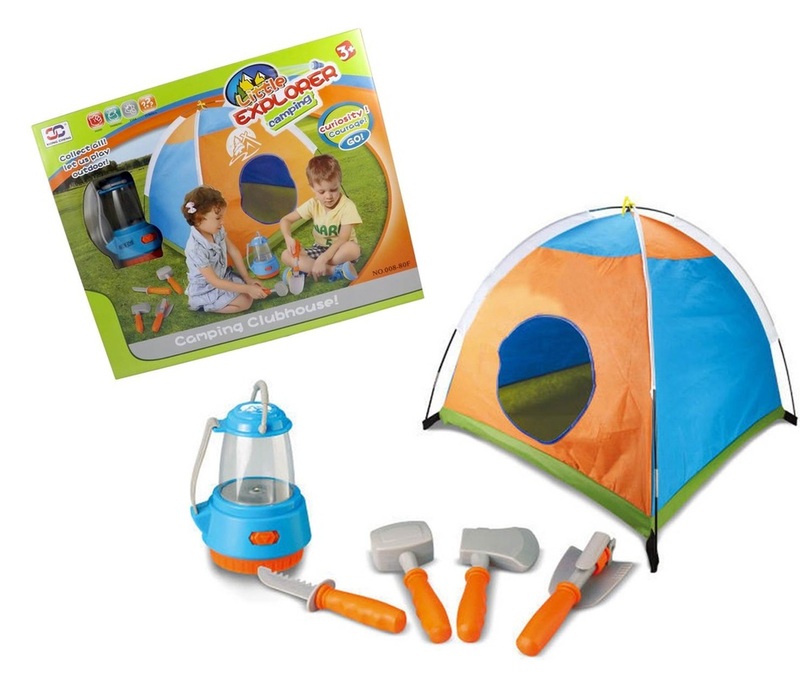 This camping set features a cool tent and some wonderful tools. Tools include a lantern, knife, axe, hammer, and shovel. Each tool measures from 6" to 10" long. Lantern lights up! Lantern requires 2 AA batteries (not included). The tent is easy to assemble. It measures 38" x 38" x 34" when fully assembled. The opening of the tent measures 16" x 12". 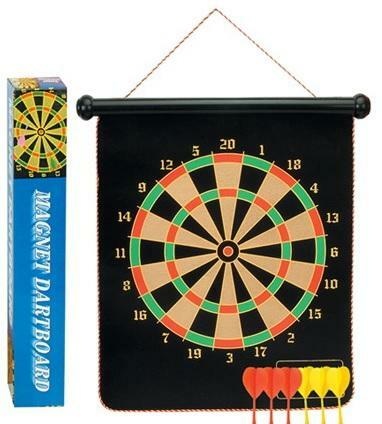 Comes with 12-cm magnetic dart board and 6 magnetic darts. Supports up to 1M distance. 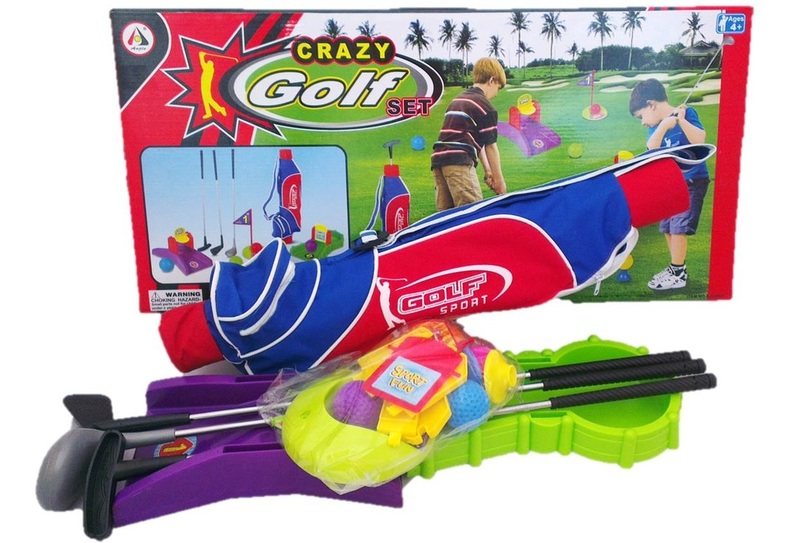 More Outdoor Games & Toys available at Lazada!